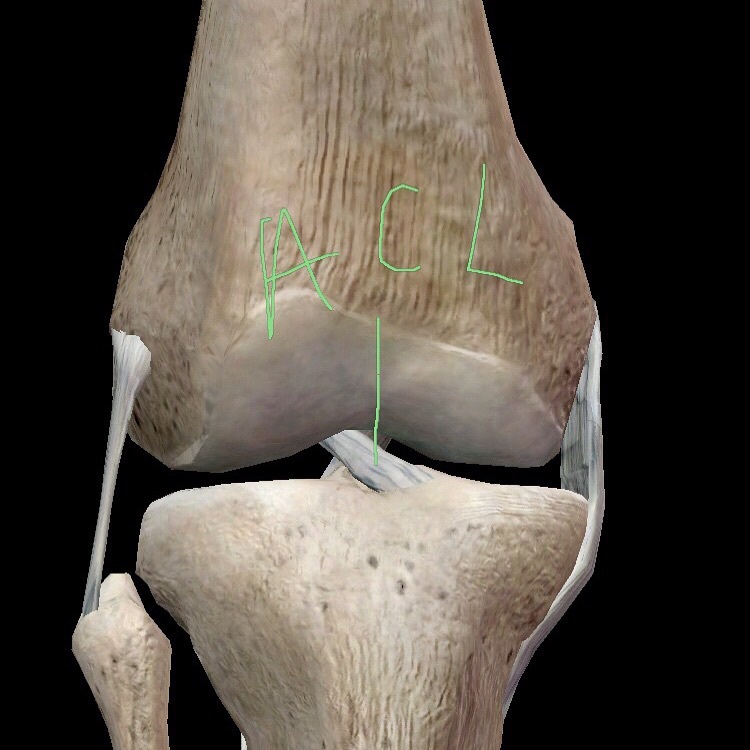 The ACL or anterior cruciate ligament is most commonly torn in non-contact injuries, such as when pivoting. Typically the foot is planted and the knee/hip internally rotate (turn in) at a higher velocity than the ligament can withstand. SNAP!!! Artwork by Hugh Turvey inspired by X-Rays. So? These four muscles make up the quadriceps femoris. They all attach to your patella (knee cap) via your quadriceps tendon, and continue down to your tibia via the patellar ligament (tendon?). The patella gives the quadriceps muscles a major mechanical advantage by increasing their leverage, which basically allows the quads to do approximately 30% more work with the same effort. However, all of those forces created when extending (straightening) your knee are directed into the patellofemoral joint surfaces - where the patella and femur (thigh bone) meet. With overuse, this joint breaks down and/or can cause osteoarthritis. To help slow the breakdown of cartilage in your knee, don’t forget to use your glutes when doing things like going up/down stairs and anytime you sit down, stand up or squat. The more your glutes help out, the less your quads have to work. The less your quads work, the happier your knee joint will be. What does that mean? The gastrocnemius is the muscle with two heads, and is the one that people like to flex and show off. It crosses both your knee and ankle joint, and is best strengthened with the knee straight. When you bend the knee, you put the gastrocs on slack, and at this length/tension relationship, the gastrocs are not very effective at plantar flexing the ankle. The soleus is a flat muscle (google sole fish) that lays under the two heads of the gastrocs. Just because you don’t see this muscle when you’re flexing, doesn’t mean it’s not important. The soleus helps give your gastrocs some bulk, and helps them pop. Strengthen your soleus by doing resisted ankle plantar flexion with your knee bent. Collectively, the gastrocs and soleus are known as the triceps surae. 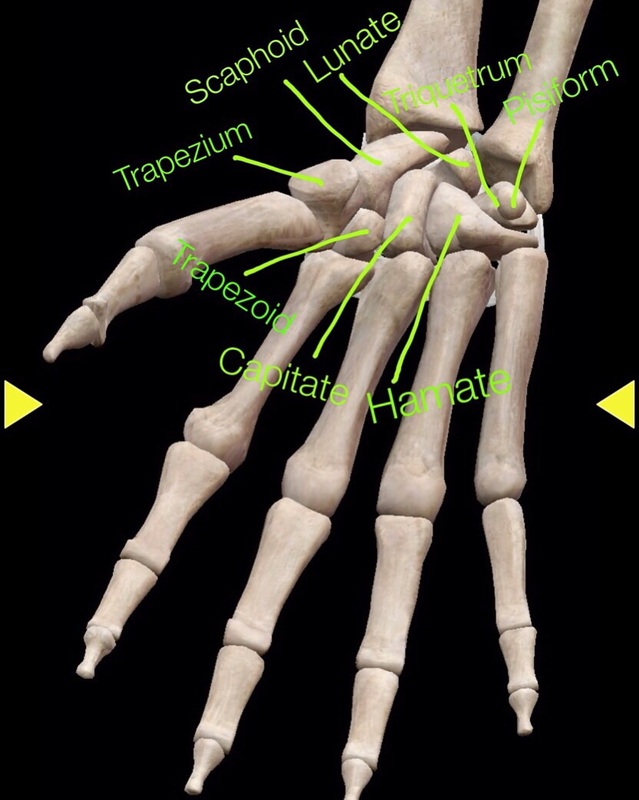 They both have a distal tendinous junction at the Achilles tendon. Both muscles are extremely important in gait and dynamic activities, and both become ineffective with an Achilles tear.